Musicologist, pianist, documentary filmmaker, and distinguished professor, Pasler has published widely on new American and French music, modernism and postmodernism, interdisciplinarity, race and gender, material culture, and radio. Her work on why music mattered in Third Republic France has now expanded to music, colonial culture, and governance in the French empire, 1860-1960. Pasler’s wide-ranging and perceptive approaches to musical biography, history, and especially music and its effects on society and culture challenge readers to rethink assumptions about important contemporary issues, including the complexity and dynamism of national and colonial identities and the economics of power. Her article, “The Utility of Musical Instruments in the Racial and Colonial Agendas of Late Nineteenth-Century France,” Journal of the Royal Musical Association Vol. 129, No. 1 (Spring 2004), won the Colin Slim award from the American Musicological Society for the best article in 2005 by a senior scholar. 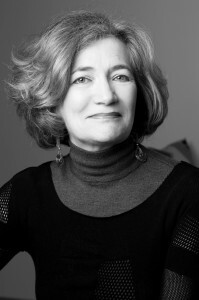 In recent years, she has published four books: Writing through Music: Essays on Music, Culture, and Politics (Oxford University Press, 2008); Composing the Citizen: Music as Public Utility in Third Republic France (University of California Press, 2009), winning an ASCAP Deems Taylor Award for the best book on classical music (2010); Saint-Saëns and his World (Princeton University Press, 2012), as editor and author; and La République, la musique et le citoyen, 1871-1914, a new, condensed version of Composing the Citizen, in French and conceived for the readership of its Bibliothèque des histoires (Paris: Editions Gallimard, March 2015). The latter received the Prix de l’essai from the Fondation Singer-Polignac, Paris (March 2015). At the National Humanities Center (2006-07) and the Institut d’études avancées in Nantes, France (January-June 2010), and supported by the National Endowment for the Humanities (2010-11), she began a new book on music and French colonialism. Research has taken her to Vietnam, Tunisia, Senegal, and Morocco, most recently supported by the CAORC. At the Université de Montréal she delivered four lectures in 2012, forthcoming as L’Empire français sonore: Les Ethnographies coloniales de la musique et des média nouveaux, 1860-1960 and supported by a fellowship from the American Council of Learned Societies (2016-2017). Two other books-in-progress are Listening to Race in France, 1870-1940 and Performing Frenchness: Music, Colonial Culture, and Governance in the French Empire, 1870-1940. Pasler has presented her work at international conferences in England, France, Germany, Italy, Finland, Australia, and Japan. It has been honored by three earlier NEH fellowships, a UC President’s Fellowship, and a Senior Fellowship at the Stanford Humanities Center. In 2003-2004 she was the Flora Stone Mather Visiting Professor at Case Western Reserve University; and in winter 2008, Visiting Professor at UCLA. In France, she was Directeur d’études at the Ecole des Hautes Etudes en Sciences Sociales (Paris) in 2011. Her video documentaries have been shown at the Smithsonian, national meetings of the Association for Asian Studies and American Anthropological Society. They have won film festival awards. Berkeley Media distributes them nationally and internationally. Among numerous professional activities, at UCSD in 1982 she organized the International Stravinsky Symposium; in Paris at the CNRS in 1983-84, she helped found the Centre d’information et de documentation “Recherche Musicale;” and in fall 1994, with Philip Brett, she ran a resident research group at the UC Humanities Research Center, “Retheorizing Music.” She has served on numerous program committees, including for the 16th International Congress of the International Musicological Society (London, August 1997) and in 2001-2004 for national meetings of the American Musicological Society, chairing this committee in 2003-2004. She has also served as a founding member of the Editorial Board for Women and Music, member of the Advisory or Editorial Boards of 19th-Century Music, Music Humana (Korea), Journal of Musicological Research, Revue de musicologie (Paris), on various committees of AMS and SEM, and on the Board of Directors of the Pauline Oliveros Foundation and of the UC Humanities Research Institute. In 2011-12, she was the scholar-in-residence and co-organizer of the Bard Music Festival, Saint-Saëns and his World, New York, (summer 2012). Pasler is also the editor of AMS Studies in Music (Oxford University Press) for the American Musicological Society. She is also the editor of AMS Studies in Music (Oxford University Press).